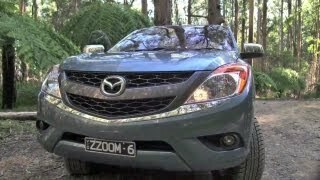 Mazda is presenting the Mazda BT-50 2012 at the 2010 Australian Auto Show in Sydney. 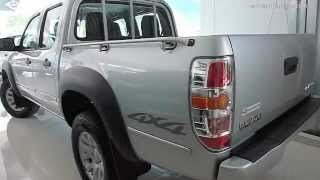 The all-new Mazda BT-50 is Mazda's only model in the utility segment. 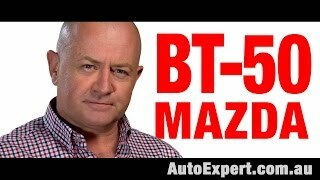 The Mazda BT-50 is targeted for the utlity markets in Australia and Europe. 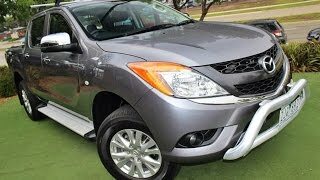 At the 2010 Australian International Motor Show in Sydney, Mazda is unveiling the all-new Mazda BT-50 that signifies a new direction in the utility segment. It was developed as an "Active lifestyle vehicle," and is intended to further extend the appeal of a utility from traditional business users to a wide range of customers, including families and pleasure-seekers. The current BT-50 is Mazda's only offering in the utility segment. It is an established one-tonne utility that has won numerous awards and gained a strong following all over the world. In developing the new model, Mazda intended to expand its appeal to customers who lead active lifestyles and have needs that cannot be met by conventional utilities. It offers all the functionality required for business use combined with passenger car-like comfort for family use; and for active customers in Australia and Europe, it is the perfect answer for all kinds of outdoor leisure activities. In this way, the new BT-50 has been developed to fulfill the varied requirements of customers in every market. To ensure all these aims were met, the all-new Mazda BT-50 was developed under the theme "Active lifestyle vehicle." The result is a utility that offers unique value; it has refined and expressive styling; a comfortable, high quality interior; a smooth ride with the feel of a passenger car; sporty and responsive driving dynamics that reflect Mazda's DNA; and outstanding environmental and safety performance. We wanted to design a truck that car lovers would be deeply pleased with and proud to own. We targeted a unique and expressive design that people would find desirable, and we also wanted it to be seen as strong and dependable. This led us to define the design concept as a "Sophisticated Beast." As Ryo Yanagisawa, chief designer of the all-new BT-50, explains: "Mazda's brand message is Zoom-Zoom, which refers to the emotion of motion first experienced as a child. With the all-new Mazda BT-50, we aimed to express this emotion through the design, and we drew a lot of inspiration from various "movements" in the world around us. For example, we had a photograph of a lion. He looked like a magnificent predator with his muscles all bunching up as though he was about to pounce on his prey. His sinews were stretched taut ready to strike, and his mane framed a sharp, masculine countenance that seemed to say, 'I am the proud king of the beasts!' In profile, that lion appeared to be both intelligent and powerful. I really wanted the design of the truck to project that kind of image. This kind of inspiration was the basis of the emotional design that we worked so hard to achieve with the all-new BT-50." 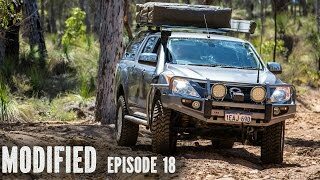 Without detracting from the strength or the level of functionality, we wanted to give the exterior of the all-new Mazda BT-50 an athletic design, overflowing with movement, that would make people immediately want to get in and drive. The crisp lines will have owners looking on with pride. The finished car has a beauty and individuality that can be recognized at a glance from any angle, even up to 100 meters away. Dynamic wedge-shaped proportions evoke an image of a large carnivore about to pounce on its unsuspecting prey. This is unlike any other utility. Casting off the conventional boxy image of a utility, sporty and dynamic lines are in tune with the rest of Mazda's passenger vehicle lineup. Further evolving Mazda's traditional prominent fenders, muscular lines flow from the fenders along the body sides. Mazda's family face, the five-point grille, is further evolved for a more imposing expression with the headlights and a chrome crossbar forming a large pentagon. The headlights have a bold boomerang shape, elaborate details and a functional beauty. A first in the segment — the taillights are stretched horizontally, reaching around the corners and across the tailgate, for a sporty and refined rear view that is similar to a premium SUV. We wanted to give the interior of the all-new Mazda BT-50 a more sporty and personal feel to complement the dynamic exterior image, and create a comfortable space to rival Mazda's current passenger car standard. The cockpit is designed to wrap around the driver and provide an environment that supports enthusiastic driving. It raises anticipation for a sporty and responsive driving experience that goes beyond any conventional utility. The flowing design smoothly connects the center of the instrument panel to the raised center console, which has never before been seen in a pickup truck. The dashboard has an asymmetric design to create optimal space on each side; it reassuringly wraps around the driver and provides an open space for the passenger. Four bold metallic panel strips on the door trim and sides of the center console express dynamism and seem to be supporting the interior space. A metallic outline highlights the two cylindrical meters and connects them via a center strip to improve readability and enhance the sporty, driver-oriented impression of the instrument panel. The audio control panel and the climate control switch panel, which has independent driver- and passenger-side temperature controls, form a beautifully designed human interface. With modern and refined styling both inside and out, the all-new Mazda Mazda BT-50 will raise the bar in the utility segment and for the first time provide a realistic alternative to the family wagon and 4x4 SUV. is Mazda's only offering in the utility segment. It is an established one-tonne utility that has won numerous awards and gained a strong following all over the world. In developing the new model, Mazda intended to expand its appeal to customers who lead active lifestyles and have needs that cannot be met by conventional utilities. It offers all the functionality required for business use combined with passenger car-like comfort for family use; and for active customers in Australia and Europe, it is the perfect answer for all kinds of outdoor leisure activities. In this way, the new BT-50 has been developed to fulfill the varied requirements of customers in every market.